Shop early with your friends! Taste fine wines, indulge in a delicious lunch and shop at the new Outlet Mall in Niagara on the Lake. 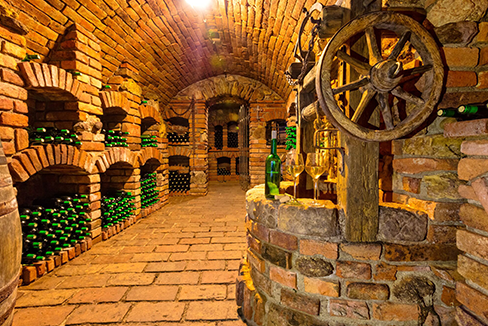 Tour a winery that is set majestically in the midst of lush vineyards! Everyone will have an opportunity to taste some of their premium wines with a panoramic view! You will delight in cuisine inspired by locally fresh products, guaranteed fresh using ingredients grown on local farms, easily sourced from the amazing bounty available in the Niagara region prepared by a top Niagara on the Lake chef! Sit back relax and enjoy a gourmet lunch. Then off to shopping in Niagara on the lake where you will find delightful, unexpected treasures in many quality retail establishments from everyday needs to those once-in-a-lifetime special gifts. Uncork Niagara Event Planners will be happy to offer you transportation by Coach or Limo for your group activities in Niagara Falls and Niagara on the Lake. Ask about pricing for pick up and return out of town.